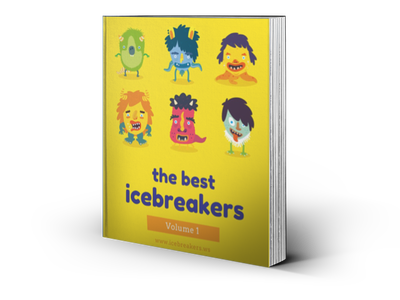 Bango Card Game - Icebreakers, Icebreaker Ideas, Games, Activities! Bango brings some of the atmosphere of the Bingo Hall to the family table. It is a very simple card game that can be played with children of almost any age. Play for counters, coins, or candy in a game of pure luck, where the toddlers can have the thrill of claiming victory over their elder siblings and parents. This game should be played with between three and ten players using two decks of cards, and more decks of cards can be added for even more players to join in (the more players, the better) until you’ll need a hire a hall and an announcer of your own. Two packs of cards are used, but are not mixed together (therefore to avoid confusion it is better to choose decks with different colored backs). Shuffle both decks separately. A dealer is decided. One classic method is to deal out cards one at a time to each player, face-up. The first player to be dealt a jack is the dealer. Retrieve the cards and shuffle that deck. All players put in an equal stake in whatever currency is being played with, to make a winner’s pool. The dealer deals out five cards to each player, including himself, from one of the two decks. This deck is now put to one side: it is not used until the next round begins. The dealer takes the second deck of cards and draws one, placing it face up in the centre of the table and announcing the name of the card. If any player has the duplicate of that card in front of them, they turn in over, face-down. The dealer continues to draw and announce cards, the other players turning over cards that match announced cards, as above. The winner is the player that turns all five of the cards in front of them face-down. They proudly shout “Bango! ", and have the glory of claiming the pool of winnings. There are only 52 cards in a deck; not enough for eleven players to have five cards each. If playing with more than ten players, take a third pack of cards. Shuffle two of the packs together. The resulting deck is the one that will be dealt out to players. The other regular-sized deck is where cards are announced from. It is possible for there to be duplicate cards face-up on the table. When this a card is also announced by the dealer, all players that have the matching cards turn them over. As such, it is also possible for two players to win simultaneously. If one player has two identical cards and that card is announced, they turn over both of their cards.